The main goal for most internet marketers is getting their websites to rank on Google. However, with Google releasing a host of updates such as Panda, Penguin, Google Exact Match Domains (EMDs), and Private Blog Network (PBN) deindexing like hot cakes, and SEO techniques changing every other day, it is now easier to get penalized for doing the wrong things. The truth is, it can be hard to keep up with these changes as you strive to keep your site ranking, especially if you do not know what to do. When it comes to creating titles that search engines consider worthy, the most important thing to remember is that you have no more than 65 characters to create your headline. Your headline could be the best there ever has been, but if it is over 65 characters, it’ll definitely get cut off. And the same goes for descriptions. To avoid this, do your best to keep your titles and descriptions as short but as click-worthy as possible. To do this, front-load your title with your keyword and ensure that it is clear, predictable, and emotionally-charging. A Permanent Link or permalink is basically a website’s URL and is what others use to link to the site’s content. Permalinks explain what a site or a page on a site is all about or what it contains, making it easier for search engines and humans to read. When the structure of a permanent link is not SEO-friendly, it becomes hard for search engines like Google to read it, making it hard for them to rank the page. To make your permalinks search engine friendlier, consider embedding your keywords in the URL to make it easier for search engines to identify your content. Another way to improve your ranking in Google is using breadcrumbs. Breadcrumbs play a crucial role in on-page optimization as they help users and search bots retrace their steps back to your home page from the page they are currently viewing or perusing. They also shed more light on how your website is structured, attributes of a page or even a logical path and add context to your website’s innermost pages while reducing factors that may affect your site’s optimization negatively like bounce rate. There are generally three types of breadcrumbs: Location breadcrumbs, Path breadcrumbs, and Keyword or Attribute Breadcrumbs. An internal link is basically any link on one page on any given domain that leads to another page on the same domain. They help site owners bridge something known as the authority gap between their most profitable content and most link-worthy content. This, in turn, makes it easier for search engines to crawl the site, to improve the ranking for specific keywords, and to provide audience more reading options among other things. Another thing to consider working on to get ranked better in Google is your text formatting and the use of H1, H2, and H3 tags. It is important that you structure your content in a way that is easy to read and navigate. Poor spacing can make content look monotonous, consequently increasing your bounce rate. To avoid this, make sure that your paragraphs are short and consider using H1, H2, and H3 (subheadings) to break down and explain your content. 404 pages are what users see when they try to reach a page that no longer exists on your website – either because the page was deleted, the URL was mistyped, or the user clicked a broken link. 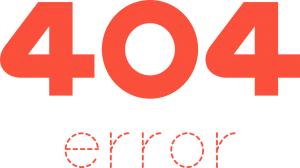 While 404 errors have no major impact on a site’s Google ranking, too many could affect your overall ranking. However, it is important to note that they can be used to your benefit. Since most 404 pages are standard HTML pages, you can customize them to work for you. For instance, you could use the pages to add links to your homepage or more popular posts/articles, tell visitors that the page they are looking for cannot be found and why, or to provide users a way to report broken links. 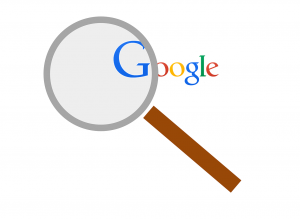 Images are another great way to get your content, and website, ranking better in Google. However, when adding images to your website, it is important that you consider where you place them, their quality, and most all, ensure that they are well optimized. When using and posting images on your site, consider naming them using ALT tags. Also, note that using your keywords as part of these tags can considerably improve your keyword ranking in Google. Page speed is, in essence, the amount of time it takes for content on a specific page to get fully displayed or the time it takes your web browser to receive the 1st byte of information from a web server. According to statistics, sites with fast page speeds not only convert more, but they also rank better. Considering that Google factors things like site and page speed when ranking pages, it is vital that you consider taking a look at your page load speeds and improving them by either enabling compression, optimizing your code, reducing redirects, improving server response time and leveraging browser caching amongst other things. Dominating Google’s search results page could be the difference between several thousand and tens, or even hundreds of thousands of impressions. As such, it is vital that you optimize your site in a way that it gets noticed by search engines like Google for a higher ranking. 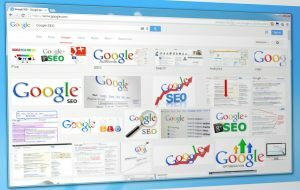 While the above tips may not include everything one should know when it comes to search engine optimization, simply implementing them will put you miles ahead of your competition and will considerably increase your likelihood of getting ranked in Google.